4.2 SB 1368 and the "Schwarzenegger clause"
California had 10 coal-fired generating stations in 2005, with 439 MW of capacity, representing 0.7% of the state's total electric generating capacity; California ranks 44th out of the 50 states in terms of coal-fired electric generating capacity. In 2006, California's coal-fired power plants produced 3.9 million tons of CO2, 3,000 tons of sulfur dioxide, and 3,000 tons of nitrogen oxide; coal-fired power plants were responsible for 1.0% of the state's total CO2 emissions. In 2005, California emitted 10.8 tons of CO2 per person, about half the U.S. average. Out of California's 66,105 MW of electric generating capacity, 60.7% comes from natural gas, 20.2% from hydroelectric dams, 6.9% from nuclear, 4.2% from geothermal, and 3.1% from wind. No coal was mined in California in 2006. According to the American Lung Association's 2011 annual "State of the Air" report, Los Angeles-Long Beach-Riverside, California rated the worst of 277 metropolitan areas for ozone pollution. The area was also ranked number 4 of 277 for year round particulate matter pollution. The California area of Bakersfield-Delano rated the worst of 277 metropolitan areas for year round particulate matter pollution, Visalia-Porterville rated number two. With little or no coal reserves, California has no history of coal mining. The coal power industry is also very weak in the state, which is dominated by natural gas-fired and hydroelectric power production. The largest coal-fired power plant in the state has a capacity of 109 MW. Stockton Cogeneration Facility and Mt. Poso Cogeneration Plant purchase coal from companies engaged in mountaintop removal mining, particularly within Black Mountain, Virginia, although the Mt. Poso plant is currently being converted to burn 100% biomass. On Valentine's Day, more than 25 activists in San Francisco called on Bank of America to stop funding mountaintop removal mining. The Rising Tide Bay Area protesters served the bank a foreclosure notice for "failing to pay its social and environmental debts" and closed accounts with the bank, pulling out over $10k in San Francisco alone. 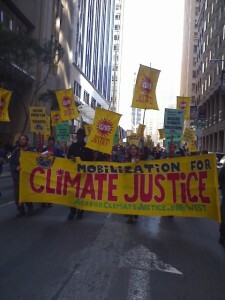 The action was part of a nationwide campaign against Bank of America organized by Rising Tide North America. More than fifty people marched through downtown Palm Springs to call attention to the need for a moratorium on the construction of new coal-fired power plants. Protesters carried signs reading, "Quit Coal Now!" The march was part of the Power Past Coal campaign, a 100-day national action that began January 21 runs through April 30. In January and May of 2007, the California Energy Commission banned municipal and investor-owned utilities within the state from signing new contracts with out-of-state coal-fired power plants. This move had an immense impact on the coal power industry, as California is a chronic power importer. The Global Warming Solutions Act of 2006 requires that the state reduce its greenhouse gas emissions by 25 percent by 2020. The state is currently negotiating legislation that would mandate an 80 percent reduction in CO2 emissions by 2050. SB 1368 and the "Schwarzenegger clause"
California's SB 1368, enacted in 2006, required state regulators to "establish a greenhouse gases emission performance standard for all baseload generation of local publicly owned electric utilities at a rate of emissions of greenhouse gases that is no higher than the rate of emissions of greenhouse gases for combined-cycle natural gas baseload generation." California enacted SB 1368 to send a strong signal to the western energy markets. Our energy must be clean – we won’t buy power from coal plants spewing greenhouse gases by the ton. To be clear, California has not said "no" to coal; rather, we’ve said that we want cleaner coal plants that can provide us energy without producing massive global warming pollution. To be clear, California has not said "no" to coal; rather, we’ve said that we want cleaner coal plants that can provide us energy without producing massive global warming pollution. As a result of SB 1368, California regulators limited new coal-fired power plants to an output of 1,100 lbs of CO2 per megawatt hour (MWh). Expressed in metric measures, this is 500 kg CO2/MWh (i.e. 500 kilograms of carbon dioxide per Megawatt hour). As other jurisdictions moved to adopt the 1,100 lb CO2/MWh standard or the equivalent 500 kg CO2/MWh standard, it became known as the "Schwarzenegger clause." California's current Renewable Portfolio Standard (RPS) requires utilities to generate 20 percent of their electricity from renewable sources by 2010. On September 11, 2009, the California state legislature passed Senate Bill (SB) 14 and Assembly Bill (AB) 64, raising the state's RPS to at least 33 percent by 2020. A 33 percent RPS would provide 13,000 megawatts of new renewable energy, enough power 6 million homes. Governor Schwarzenegger has threatened to veto the bills and instead issue an executive order bypassing the legislature. Under these provisions, renewable energy goals can be repealed when a new governor is elected in 16 months. In addition, the executive order would effectively create a loophole for the 2010 mandate of 20 percent renewable requirements. According to a press release by the group Renewable Energy Accountability Project, ConocoPhillips and Occidental Petroleum made donations totaling $50,000 to the Governor's ballot measure committee account on September 10, 2009, just one day before the legislature approved the bills. In addition, major utility companies PG&E, Sempra, and Southern California Edison dropped their opposition to SB 14 and AB 64 at the last minute, suggesting that they may have known of the governor's intention to veto the bills. Since 2003, PG&E, SCE, and Sempra have contributed a total of over $770,000 to Gov. Schwarzenegger's campaign and administration. REAP is calling for an investigation into the influence of the utility industry on the governor's office. On April 12, 2011, Gov. Jerry Brown signed legislation that will require California utilities to get one-third of their electrical power from renewable sources, giving the state the most aggressive alternative energy mandate in the entire U.S.
California utilities and other electricity providers have until the end of 2020 to draw 33 percent of their power from solar panels, windmills and other renewable sources. California is the country's most energy-efficient state and was one of the first states to enact energy-efficiency standards for new homes, buildings, and household appliances. 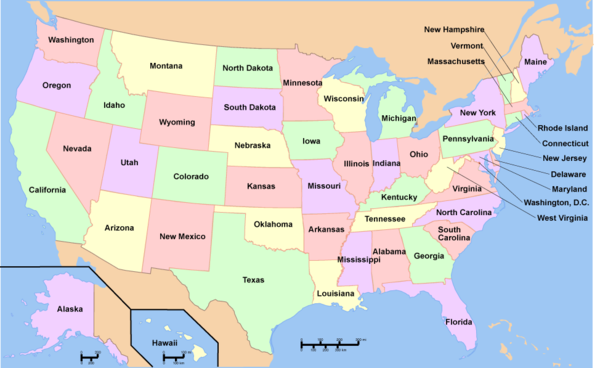 A study released in October 2008 by the University of California at Berkeley estimated that Californians use about 40 percent less electicity than the average American. The study also found that energy efficiency saved California $56 billion in electricity costs and created 1.5 million jobs over 35 years. The state's plan to reduce greenhouse gas emissions over the next twelve years, which also includes emission caps and increased energy efficiency standards, could create 400,000 new jobs and increase household incomes by up to $48 billion annually by 2020. On November 5, 2008, the city of Berkeley launched a new program called Berkeley FIRST (Financing Initiative for Renewable and Solar Technology.) Under the new program, homeowners can apply for loans to install solar panels and other energy efficiency improvements. The loans are backed by city bonds and will be repayed over 20 years via assessments added to individual property bills. If a property owner moves, the loan transfers to the new owner via the same assessment. The FIRST program will initially fund 40 installations distributed throughout the city, providing up to $37,500 per installation for either residential or commercial properties. In early October 2012 the Los Angeles City Council approved the L.A. Department of Water and Power's plan to invest in clean energy and wean the city off of coal. In 2011 L.A. shipped $500 million out of state to purchase coal produced energy. The vote is estimated that it will create 5,000 jobs in energy efficiency and rooftop solar in the L.A. metro area. In total, California's coal-fired electric generating stations produce 1.0% of the state's total CO2 emissions and 2.4% of its total SO2 emissions. In 2005, it was reported that California utilities owned 4,582 MW of capacity in six coal plants located in nearby states. Since that report, the Mohave plant has shut down. The average generation of those coal plants in the 2002-2003 period was 60 TerraWatt hours (TWh). There are no coal mines in California. ↑ 3.0 3.1 California Energy Consumption Information, eRedux website, accessed June 2008. ↑ "State of the Air" American Lunch Association, May 9, 2011. ↑ "Rising Tide Bay Area: 'Bank of America, Where’s Your Heart? '," The Understory, February 15, 2009. ↑ "March for clean energy seeks to curb coal use," Desert Sun, March 15, 2009. ↑ California Says No to Coal, But World Disagrees, San Francisco Chronicle, May 28, 2007. ↑ "California legislature moves on global warming," Environmental Defense Fund, June 27, 2006. ↑ California's Greenhouse Gas Law: Who Will Pay?, Christian Science Monitor, March 10, 2008. ↑ "Increase Clean Energy for California," California League of Conservation Voters, September 2009. ↑ "Were $50k in Oil & Coal Contributions to Schwarzenegger Pay-To-Play?," PR Newswire, September 24, 2009. ↑ "California sets high renewable power goals" Adam Weintraub, Associated Press, April 12, 2011. ↑ "Report: California saves money by saving energy," Associated Press, October 20, 2008. ↑ Cisco Devries,"Berkeley rules," Grist, November 3, 2008. ↑ Berkeley FIRST, City of Berkeley Energy and Sustainable Development, accessed November 2008. ↑ "DWP quietly scales back Villaraigosa's ambitious renewable energy goal" David Zahniser, Los Angeles Times, December 6, 2010. ↑ "LA Chooses Clean Energy Over Coal" Mary Anne Hitt, Huffington Post, October 5, 2012. This page was last edited on 15 March 2015, at 03:09.